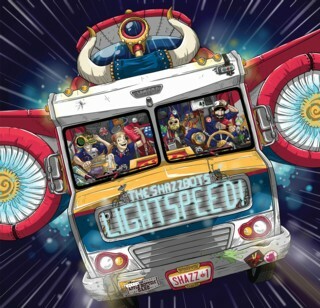 The Shazzbots rocket into a new dimension with their third album LIGHTSPEED! This triple Emmy winning crew jumps into hyperspace with this fresh batch of original genre bending tunes. Families and kids, across the known universe, will want to keep pushing repeat on this intergalactic musical journey. With dynamic songs such as “On The Playground” and “Snowday!”, the listener will be musically teleported to imaginative, fun ?lled places, while songs like “Read A Book Today” and “Gravy Boat” support creative thinking and spreading good vibes throughout the cosmos. The Shazzbots are champions of music, art and all things creative and this album delivers on that mission.